So, I came across Penned Down, by Pennelope Thiessam. It was a small, new, snarky fashion blog meant for a few friends until the behemoth Shopping Cart Disco mentioned it. (Just to be clear: I don’t want anyone to get the mistaken idea that I follow Shopping Cart Disco. The ensuing brouhaha was tweeted about by someone I follow.) Tenshi Vielle called Pennelope classless and not worthy of a link back. Needless to say, traffic to Penned Down went through the roof. Penned Down is certainly not for everyone. The self-description? Welcome to my blog. Beware, entrance is not for the feint of heart. My language is crude, my honesty is blunt, it is almost guaranteed you will be offended. Please proceed. Something I didn’t know is that there’s a large contingent of SL fashion bloggers who believe strongly that if you don’t have something nice to say you should say nothing at all. Pennelope chose not to play by those rules, and the comments on her posts have been mind-blowing. She also says she’s been banned from several sims. This post asking whether she should post a list of the sims from which she has been banned has an amazing 134 comments as of this writing. Reading only a few comments will give you an idea of the vitriol. Several sentiments have been repeated and repeated by the commenters on Penned Down and on other blogs that got drawn into the fray (and apparently a lot of drama has been going down on Plurk as well). Some of them just really get my goat, and so I thought I’d reply. But these designers whose clothing you say negative things about are really nice. I don’t buy things because the business owner is “nice.” I buy things because I like them or they meet a need. I will, however, choose not to patronize a business if the owner is rude, annoying, bigoted, or any number of other things I don’t want to support. I can always do without or find someone else to buy from. But these designers worked so hard on these things. And your point? People work far harder on businesses that fail every day. If people (read: potential customers) say something negative about your work, you have two choices: you can decide you don’t care about their business, or you can work harder or create something different in order to attract their business. It’s more pleasant when they give only constructive criticism and do it only privately, but that’s really nothing you can control or should expect. But I’m selling this for pennies/giving it away! I consider 50L Fridays (and other group theme events) and hunts advertising, not favors to me. Hunts, especially, are a LOT of work and annoyance for the hunters, with very, very little payoff. If designers put crap in a hunt or make the object extremely difficult to find, they should expect to get a negative reaction. Even if you think of these items and events as loss leaders, they need to have some virtue beyond being free, or you won’t actually be attracting a paying customer. And that is what you want, right? It’s my sim, and I can ban anyone I want, for any reason. Are you running a business or not? And finally. Sn@tch? Really? Really? Someone thought Sn@tch was a good name for a business? There are a few things I know nothing about. I can never find the Big Dipper. I can’t get my dog to bring the ball back. And my entire wardrobe consists of blue shirts. For me, fashion ran out of ideas for me when I hit, hmmm, 14 probably – that horrible experiment with parachute pants is what did me in, from that moment on it was jeans and blue shirts. So I knew I would have trouble from the start: not knowing anything about fashion in real life, I’d hardly be able to comment on it in a virtual one. The only thing I knew for sure was my unwavering belief in the power of prim hair, from which I could extrapolate that how we look, and how we feel about how we look in a virtual world is, in some ways, even more important than how we look in the real one, because in the real world we might think we look like a movie star but that doesn’t mean we do, it just means we’re prone to wishful thinking maybe. But in the virtual world, we all really DO look like movie stars, even if it’s a period thing with feathered fans and languid glances. And it’s in this range of possibilities that I got stumped: not so much about the problem of where the next fashion trend will come from, how to keep it fresh and alive for all the movie stars and Glamor Queens of the Grid – but rather, in a world of endless possibility, where our identity is an extension or a separation of us, where our environments can create a symbiosis between how we project ourselves and how the world responds….how can you POSSIBLY run out of ideas? And the strange loop is important, because I believe it arrives, in part, from boundless possibility. Virtual worlds give us options: to be ourselves or to be someone completely different. To live in a beach house, or in a Victorian steampunk village. This exploration of possibilities is, at first, a way to stretch our imaginations. To explore what we might never be, or to act in ways we’d otherwise fear being seen. But the strange loop also says that no matter how far from ourselves we travel, eventually we arrive right where we started, and need to reconcile this odd character with the rest of us: our avatars are not, we discover, separate from us, they ARE us, and as such need to be brought home. There are theories of recursiveness that touch on this, and as Tom Boellstorff pointed out, virtual worlds are recursive by nature: they are techne within techne, the tools of our production are contained WITHIN a tool of production, and thus of sociality and culture. And so with fashion, I suppose, because if fashion is anything like the other strange dislocations that people experience in virtual worlds, we discover eventually that we’re back where we started: we try to escape “real life fashion”. We’re faced with nearly limitless possibilities. We don’t only have the tools to create a dress, we can also create the shoes, the hair, the skin, and while we’re at it the whole city in which it will fit right in. But eventually we face that strange loop: the need to reconcile what we’ve discovered in the virtual world with our actual ones: identity, fashion, social hierarchies, love, or the creative muse. I’ve written that virtual worlds might herald a new renaissance, or at least be early indicators. 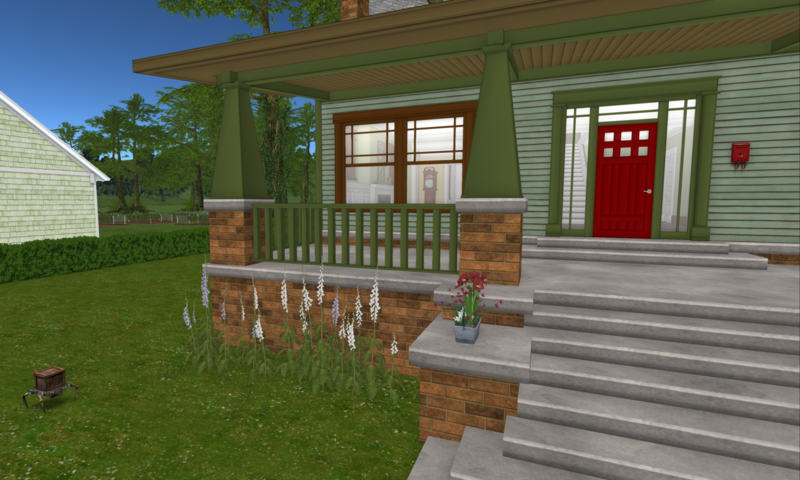 What we learn in Second Life about collaboration, say, or the nature of work. What we learn about new forms of sociality – the emergence of a tribal morality, for example, have implications beyond virtuality into the actual. “On the one hand, technology enables rapid, low-cost, and mass production. And anyone who’s ever rezzed a prim just for the pure love of it stands on the other. A crisis in fashion may not be a crisis of ideas: but rather the awareness that all bets are off anyways, that the way that ideas are created, and shared, and sold, and spread doesn’t follow the old models. All bets are off, and in the pursuit of markets and competition over freebies and the latest designs, we’re also aware that none of that matters really – it’s not the lack of ideas that’s the problem, it’s that in virtual worlds we’re discovering that our notions of work and craft were built on loose foundations, and what we’re looking for isn’t a new skirt design, but a new way instead of integrating our creative spirits into the wider world. Rollo May says that the courage to create is the greatest courage of them all. It is the wellspring of new forms, and new forms are what nurtures society, gives it a view of itself, lets it craft a new way forward. I’d propose that if Rollo May were around to see Second Life, he’d discover the supreme site for creativity in the world today. In a virtual world, the experience creates a cross-over between emotion and mind, between our sense of self and sense of engagement with others…the ideal melting pot for creative courage. Creative courage is, in the end, both a challenge to orthodox and a reaching out to spirit. Fashion – a visual language, is not about being trendy, or even about being fashionable. It is a visual form derived purely from imagination. Ideas will never run out, because ideas, the imagination, is not constrained by either reality or virtuality, it is held instead in the cupped hand of possibility, in the endless space of elsewhere which is both our own spirit and another. Rez Magazine has a nice interview with June Dion and Tori Heart of Barerose, one of the great fashion and costume locations in the virtual world. June Dion produces a wide range of clothing for both men and women, all at highly affordable prices. One thing that sets Barerose apart from the rest, apart from their long standing in the sl community, is the high standard of design on the textures, along with the variety of styles and colours contained in each pack.